Treinen Law Office PC has noticed an alarming trend in the mortgage-service industry, a trend that causes stress, frustration and crisis in families and rattles the trust that we as consumers give so freely to financial institutions. Throughout New Mexico, mortgage servicers sometimes incorrectly account for borrowers’ payments, causing the servicer to foreclose on the borrowers even when the borrower is not in default. The accounting errors sometimes occur in connection with an attempt by the borrower to modify their mortgage through HAMP (Home Affordable Modification Program). Are you receiving contradictory and confusing statements and/or demand letters from the servicer and/or the servicer’s law firm? This indicates that the servicer may have made accounting errors. Are you actually in default? To assess this, you will need to know how much you owe each month and you will need a payment history. You can always ask your servicer for a payment history, but charting the payment history using your own bank records is preferable because the servicer’s payment history is often part of the problem. If you do request a payment history, do it in writing and keep a copy of the correspondence. In fact, do your best to document all correspondence with the servicer. You want to be sure that you have evidence of what you told the servicer and when you told them. Have you applied for a modification? If so, what happened? Did the servicer set you up on a Temporary Payment Plan (TPP)? If so, did you make the three payments necessary under the TPP? Did the servicer process the modification in a timely manner? If you received and followed through with your obligations under a TPP, then you may be entitled to sue the servicer for foreclosing on you anyway. Has the bank filed for foreclosure against you, but dismissed the foreclosure without you doing anything? This often indicates the bank realized that it didn’t have the right to file for foreclosure. Sometimes the bank will even file a second wrongful foreclosure to try and collect the attorney fees from the first wrongful foreclosure. 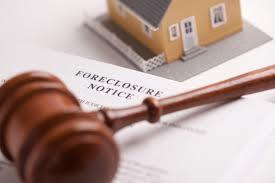 If you think that you may be the subject of a wrongful foreclosure or if your case appears headed in that direction and you would like some help, feel free to call the Treinen Law Office, (505) 247-1980. Treinen Law Office is located at 500 Tijeras NW, Albuquerque, New Mexico.